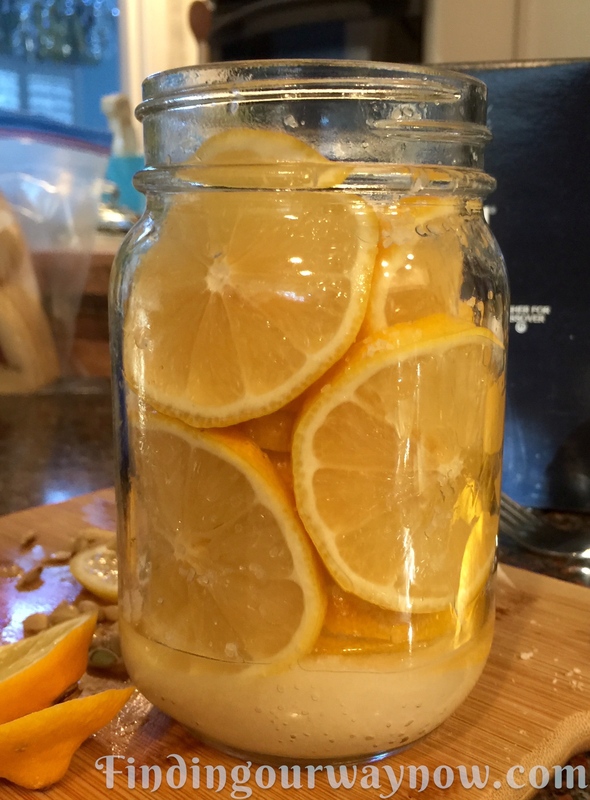 Well, I have more Meyer lemons than I thought, so the next idea I had was to preserve them for another day. If you’ve never had preserved lemons, you’re in for a treat. In the mid to early 19th-century, this was a practical way of keeping a hard to acquire, highly prized citrus such as lemons for their use long after the citrus season ended. The shipping expense as a result of the distance they had to travel was another good reason. English, American, and Indian cookbooks referenced recipes for preserved lemons (referred to as “pickled lemons”) along with the drying and storing methods for their zest. There were many mentions throughout that time highlighting the many uses for preserved lemons in sauces for fish, veal, vegetables, etc. where fresh lemons would be utilized today. Fast forward to today, there’s nothing better than preserved lemons. Their salty goodness can add so much to a recipe, or as a condiment to a dish or cocktail. Better yet, this is the easiest recipe to make ever. Combine the salt and sugar in a small bowl and set aside. 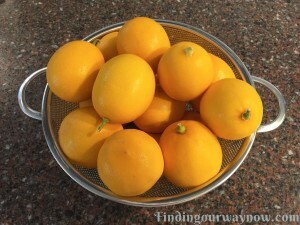 Scrub the lemons to remove any wax or residue and dry. Slice each lemon into ¼ inch slices. Add a tablespoon of the salt mixture to the bottom of a clean, sterilized pint jar. Place one of the slices of lemon on top and then sprinkle the top of the lemon with more of the salt mixture. 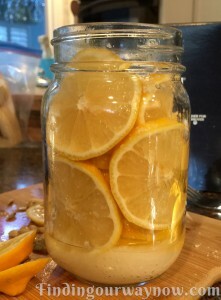 Repeat the layering of lemons slices and salt mixture until you’ve filled the jar. Press down on the lemons to release some of the juice. Continue to layer the lemon slices and salt mixture until the jar is packed full. If room allows, slide slices of lemon between the lemon stack and four sides of the jar. Pack as many lemon slices as you can in the jar. Pour any remaining salt mixture over the top of the lemons. Press down on the lemons one last time. 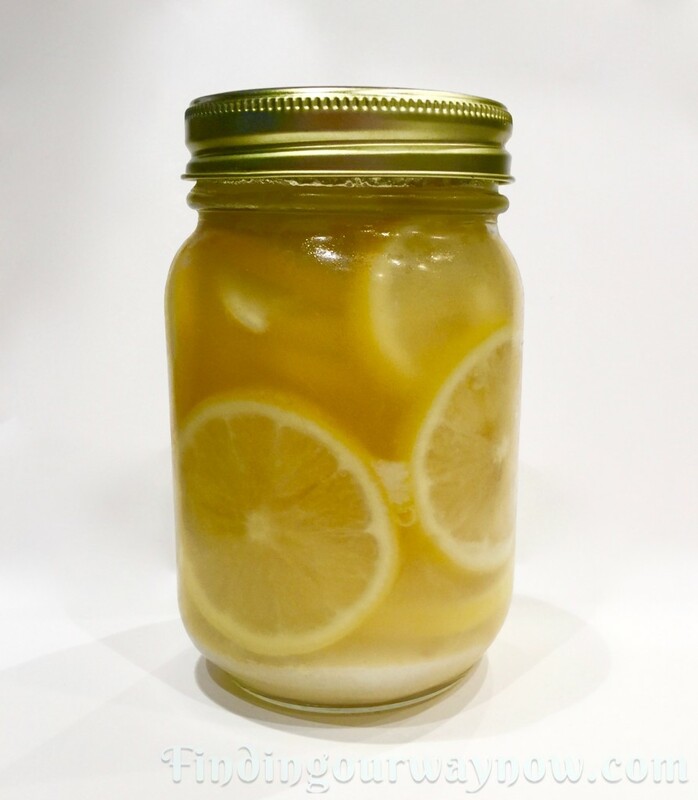 Pour the lemon juice over the contents of the jar until the lemons are completely covered with juice. Seal the jar tightly and shake a bit to combine the contents. Let stand at room temperature in a cool, dry place for five days. Once a day, turn the jar upside down and shake it a bit to moved the settled salt around in the juice. After the fifth day, transfer the jar of preserved lemons to the refrigerator for three weeks and they’re ready for use. Store the preserved lemons in the refrigerator for up to 6 months or you can add enough olive oil to cover the top and keep it refrigerated for up to 1 year. When ready for use, remove a few lemon slices from the liquid and rinse and cut the rinds into thin strips or a small dice. You can press the leftover pulp through a strainer, discard the remaining membrane to obtain a great tasting juice for flavoring dishes, sauces, or a salad dressing as well. Notes: Fresh ripe lemons are best for this recipe. If any of the lemons slices are exposed to air, it may develop a white mold. It’s harmless and just needs to be washed off. The longer they marinate, the better they are. You can use any variety of citrus for the recipe. 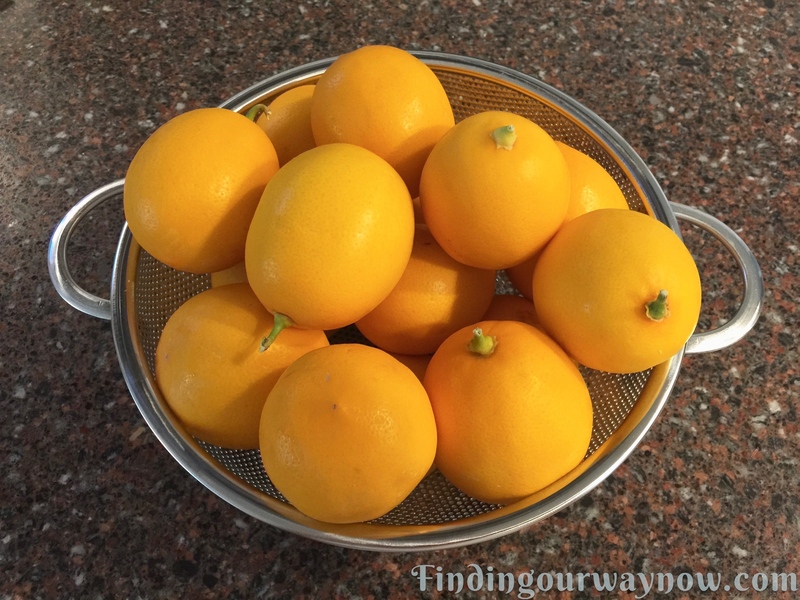 Why lemons with thick rinds? That’s the best part in preserved lemons. There’s nothing to making these preserved lemons. They’re awesome in salads, stews, or you can whisk the juice and pulp into an excellent salad dressing. Better yet, why not try it in a Bloody Mary. With that, give preserved lemons a try. You’ll be so glad you did. If you enjoyed “Preserved Lemons My Way,” check out my Freezer Plum Jam, Fresh Fig Jam, or my friends Homemade Raspberry or Blackberry Jam. Enjoy.